Our BMJ series on the World Bank has just been published. This reflects the first year of work of our larger project on the World Bank in global health and robust collaboration among team members at the Global Health Governance Programme. So why should we care about the World Bank in global health? From its first foray into health in the early 1970s to the present, the Bank has transformed into one of the largest health funders worldwide, with an incredibly influential impact on the entire health landscape. 2017 is a particularly important time to examine the workings of the World Bank in global health: for the first time in its history, the re-elected President Jim Yong Kim is a medical doctor, activist and anthropologist who has argued for the right to health. Throughout his tenure, the Bank has moved towards innovative financing for health through new modalities such as financing facilities. What do our papers cover? In this five paper series, we provide an overview of the Bank’s evolving role in global health, documenting its turn towards innovative financing in health and critically analyzing the benefits and risks of such a shift to achieving health goals. Paper 1: We present detailed analysis of the World Bank’s financing, priorities and lending structures for global health. Paper 2: We examine the universal health coverage and health systems strengthening agenda and critically assess the Bank’s history in this area and future directions. Paper 3: We discuss the growth, benefits, and risks of earmarked aid for global health at the Bank and provide a detailed case study of onchocerciasis trust funds, which supported the Bank’s first flagship health project. Paper 4: We look at global efforts to achieve maternal, newborn and child health by examining the Global Financing Facility. Paper 5: We scope global efforts towards pandemic preparedness and analyze the Bank’s involvement in health outbreaks and emergencies through its currently proposed Pandemic Emergency Financing Facility. What sources were used in the analysis? We base our analysis on World Bank official documents and reports from its website, sources from the World Bank archives, secondary literature on the World Bank and conversations with numerous Bank staff working in the Health, Nutrition and Population (HNP) sector. 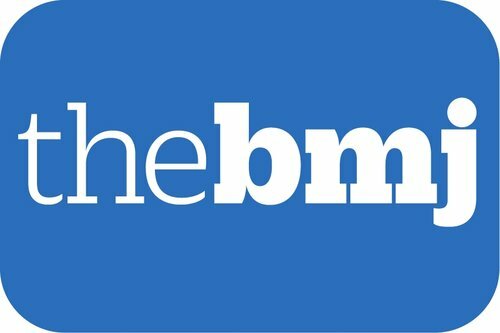 Yes, each of the paper has a podcast that is available on the BMJ website and can also be found here on our website. And, we also have a video introducing the World Bank in global health. We gratefully acknowledge the support of the Wellcome Trust, grant 106635/Z/14/Z. We have received no funding support from the World Bank. Full COI statements are available at the end of each paper.